Beauty Professor: Le Metier de Beaute's Mikey Castillo and Ivan Castro at Neiman Marcus Beverly Hills Tomorrow from 10-5! Le Metier de Beaute's Mikey Castillo and Ivan Castro at Neiman Marcus Beverly Hills Tomorrow from 10-5! The weekend is here and what better way to kickstart the relaxation than with some quality time at the Le Metier de Beaute counter?! If you are a Southern California local, you may be interested to know that the talented Mikey Castillo and Ivan Castro will be at the LMdB counter at Neiman Marcus Beverly Hills on Saturday May 4th from 10AM-5PM. Above: LMdB products from used to create the Oscar de la Renta bridal look. 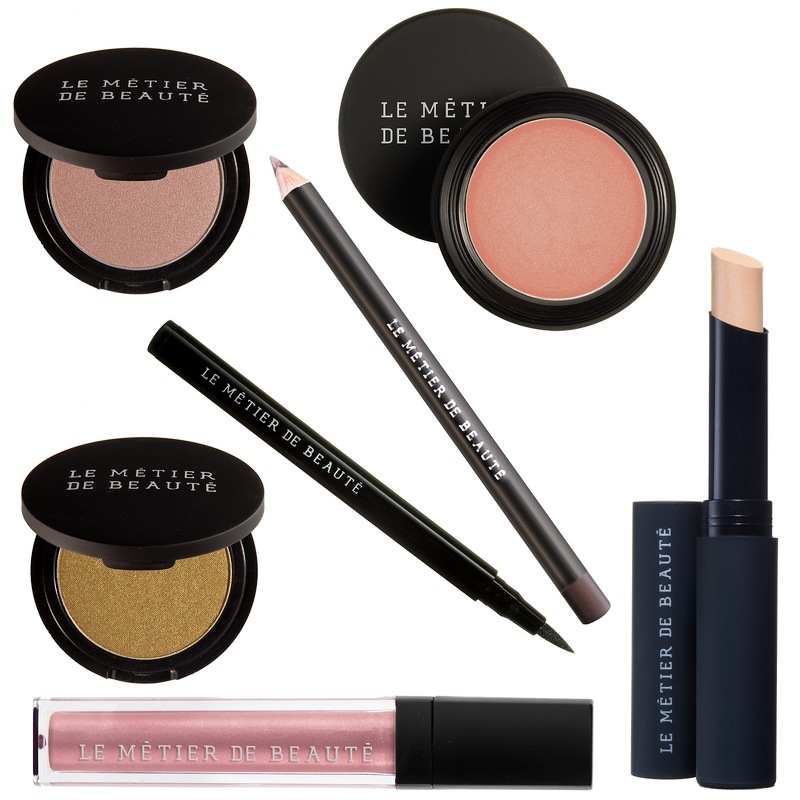 This beautiful bundle is currently available at www.metierbeaute.com. Fresh off of their successful duties at the recent Oscar de la Renta Bridal fashion show in NYC, they are taking appointments for makeup application. Above: Neiman Marcus Beverly Hills LMdB specialist Scott Reyes, the Beauty Professor and LMdB Director of Color Mikey Castillo. If you haven't yet met LMdB Director of Color Mikey Castillo or Scott Reyes, LMdB specialist at Neiman Marcus, Beverly Hills, it is time...they are incredibly gifted and delightful and I am looking forward to hopefully swinging by with my mom to see them tomorrow. Hope to see you there! Above: Mikey Castillo engaging in his craft. Above: If you need one more incentive to swing by the LMdB counter at Neiman Marcus Beverly Hills tomorrow, allow me to compel you with the limited-edition Lip Creme in Bloom (properly reviewed HERE)...this shade can only be bought at the Beverly Hills Neiman's location! Interested? Call Scott Reyes at (310) 550-5900 Ext. 2087 to schedule some time with these masters of beauty!